The Miami Dolphins wanted an upgrade at quarterback when Ryan Tannehill went down last season. They reached out to Peyton Manning. The Miami Dolphins were one of the surprises of the 2016 NFL season, finishing with a 10-6 record and making the playoffs. A big part of that was the play of quarterback Ryan Tannehill. When Tannehill went down with a torn ACL, Matt Moore took over for the final month of the season, but it wasn’t for a lack of trying to get someone else. That someone else was Peyton Manning. Dolphins’ head coach Adam Gase was Manning’s offensive coordinator in Denver before becoming the Miami Dolphins head coach. 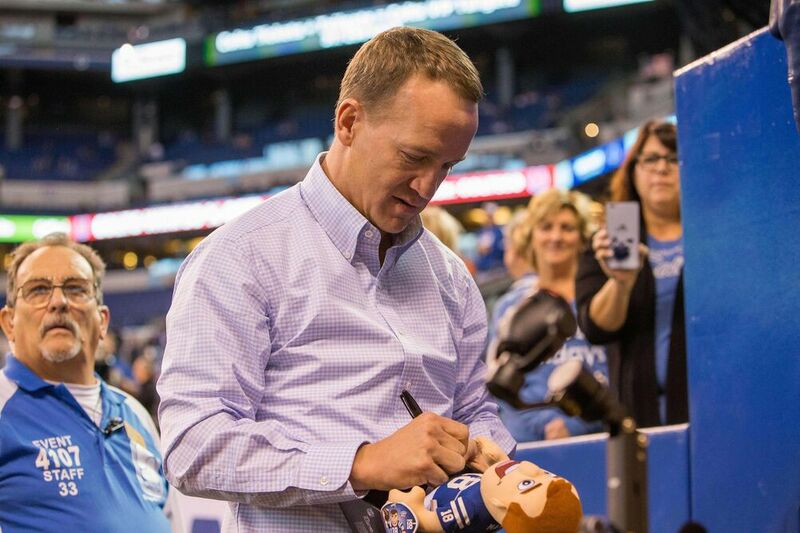 With Manning being retired, Gase decided to shoot a text over to the retired quarterback (via his dad, Archie Manning) to gauge his interest in coming back since the media was going to bring it up anyway. Good job, good effort Coach Gase. You can’t blame the guy for trying. Every time a quarterback goes down, there’s going to be that speculation about Manning, Jay Cutler and Tony Romo now since they are all retired and doing other things. Of course, Manning is done. You could tell during his final season that he didn’t have much left in the tank. It’s better for him and the Dolphins to have looked in a different direction.